Simplicity in design is what we love the most and this townhouse in North London ticks all the boxes when it comes to less is more. Designed by O’Sullivan Skoufoglou Architects, the home is dressed in a buttery blonde timber from its windows to the joinery, to the walls. Sourced from a local family-run workshop, all the timber was prefabricated and pre-assembled before hitting the site. And it doesn’t stop there, the homes furniture and storage is also made from the very same beautiful blonde timber. 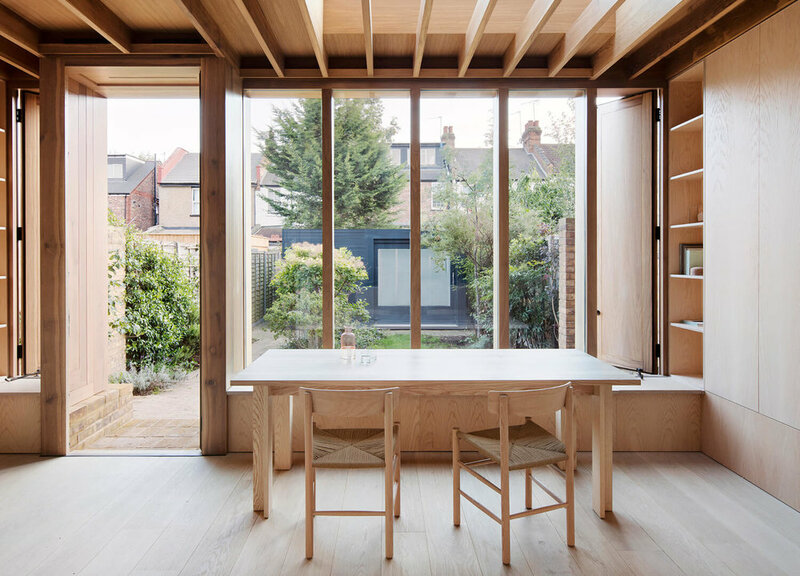 The timber also reaches the exterior of the home and is visible from the garden, a warm and welcome contrast to the existing century-old brickwork. This connection to the exterior opens up the interior, incorporating the back section of the house with the garden and its wonderful private views. We’re ready to move in!